Heaven has finally been found on earth on Rokeby road in Subiaco. 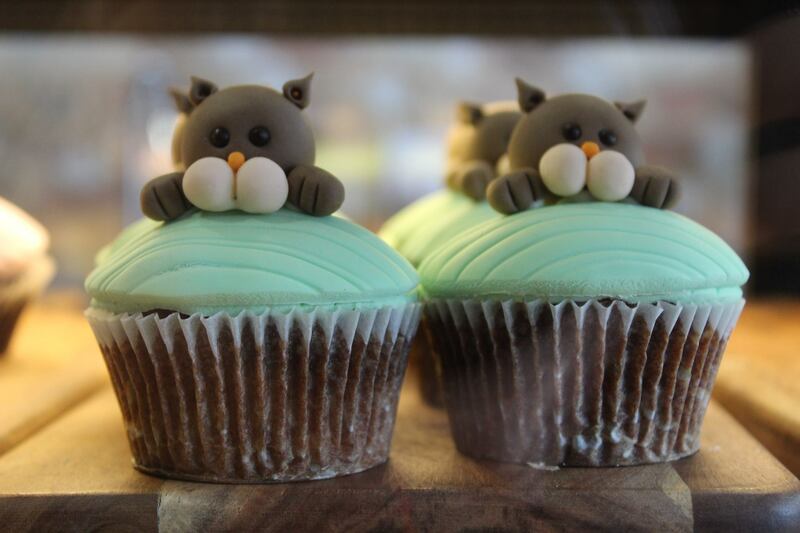 With the perfect combination of cats, coffee and cakes, The Cat Cafe has realised your greatest dreams. 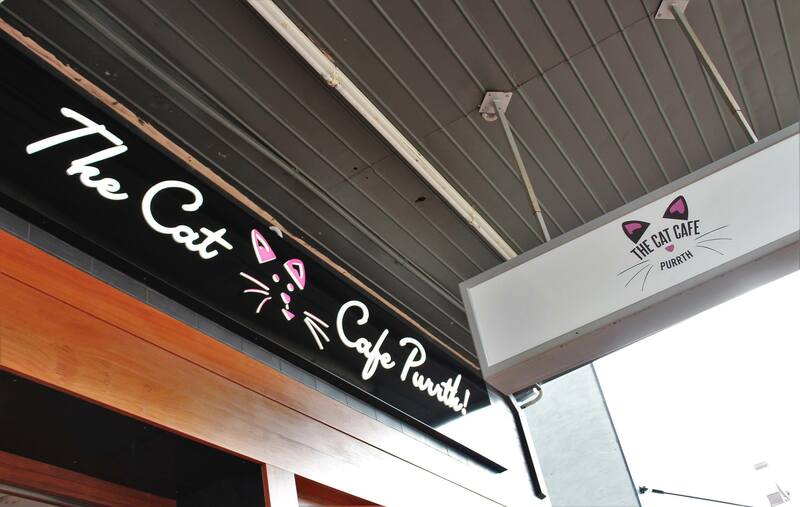 Opening it's doors just last weekend, The Cat Cafe Purrth is here to supply your caffeine fix with a side of feline loving- what could be better? Animal lovers Chris Mewburn (purrfect name) and Terps Platritis are the co-founders and directors that bought this project to fruition. The pair say their vision for the venue is to make it the happiest place in Perth, and they have certainly delivered. As well as creating a venue for everyone to enjoy, they have a strong focus on educating their visitors about animal welfare, pet care and promoting the ‘adopt don’t shop’ mentality. They hope by spreading awareness, they can help ease the numbers of homeless and abandoned animals roaming the streets. With a passion for the welfare of people and animals, Chris and Terps have both been involved in various projects and charities over the years, raising money for youth suicide awareness, wild life rehabilitation and various cat rescues. 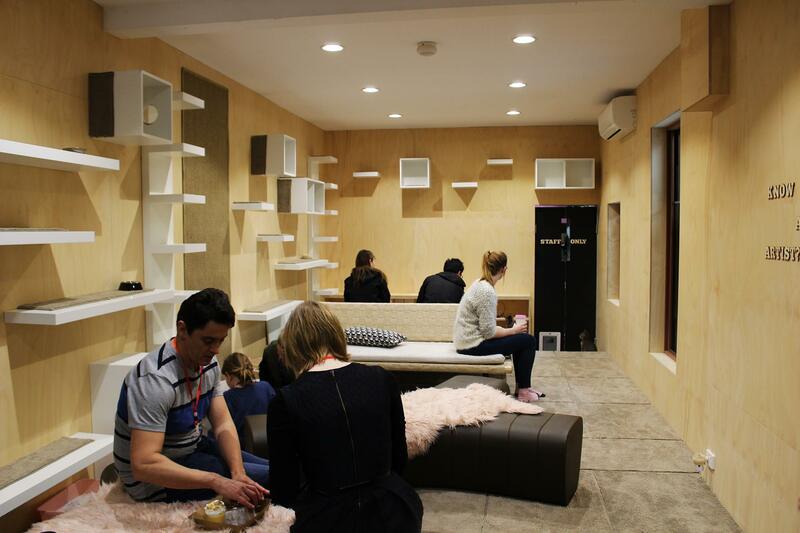 Both with backgrounds in architecture to boot, The Cat Café Perth was the perfect plan to bring together all their passions in one venture. All of the four legged residents are rescue cats from partners Cat Haven WA, with the café specifically designed as a sanctuary for this furry family. 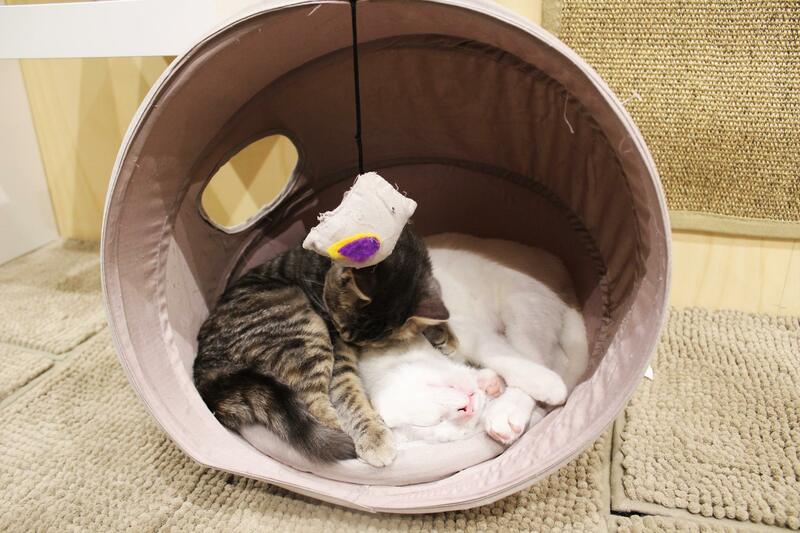 When visiting the Cat Café, you can expect a chilled and comfortable environment where you can interact with some very cute cats and raise awareness for animal welfare, all in one. 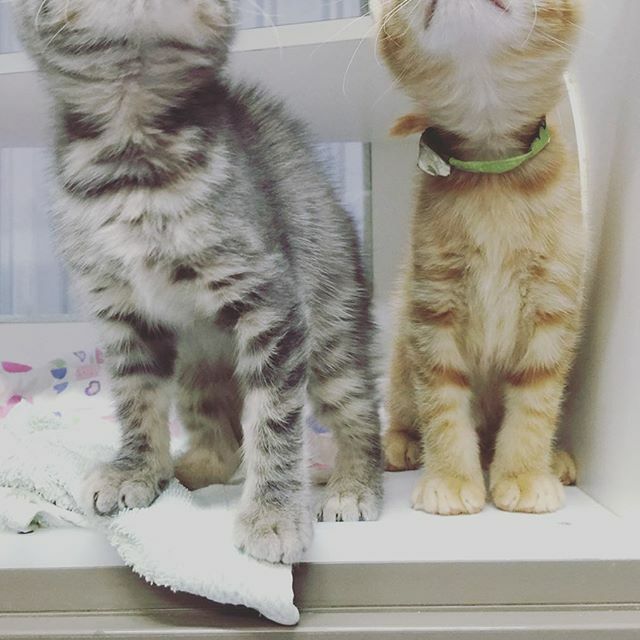 Although you can't take home any of the resident kitties, the team behind the Cat Cafe encourage all cat lovers to visit Cat Haven to rescue a kitty to call their own. 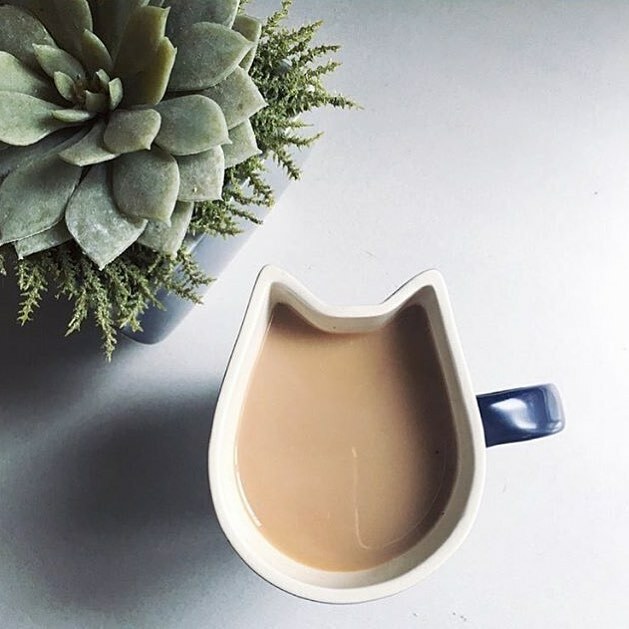 If your land lord (or parents) would be none too pleased if you surprised them with a new cat, you can always take home one of their extremely cute cat shaped mugs instead. Depending on your caffiene needs, you can order your coffee in kitten, cat or lion size. Of course you can pair these with tasty sweet treats to munch on which are catered to the site every day (there is no food prepared on premises due to the setup of the café and cat area). They have naughty options like red velvet cup cakes, cookies, muffins and mini cheesecakes as well as decadent vegan and rawesome treats. 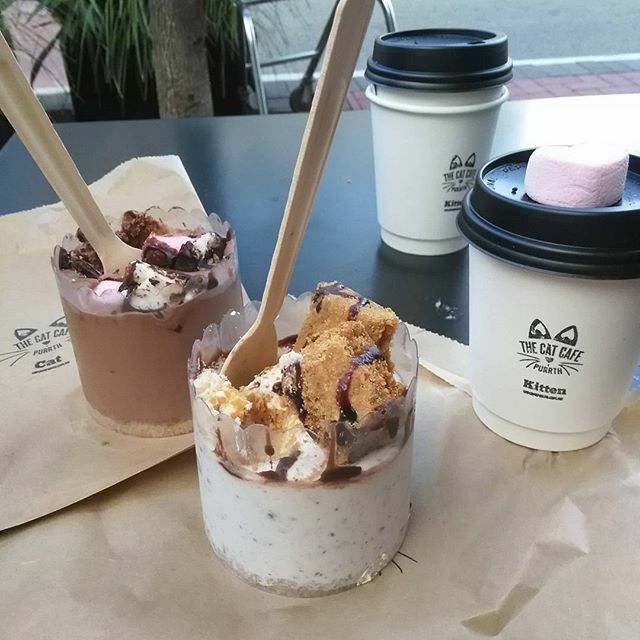 If you miss the good ol' days of the fill-a-cup lolly walls, The Cat Cafe is truly delivering the goods by bringing it back too! 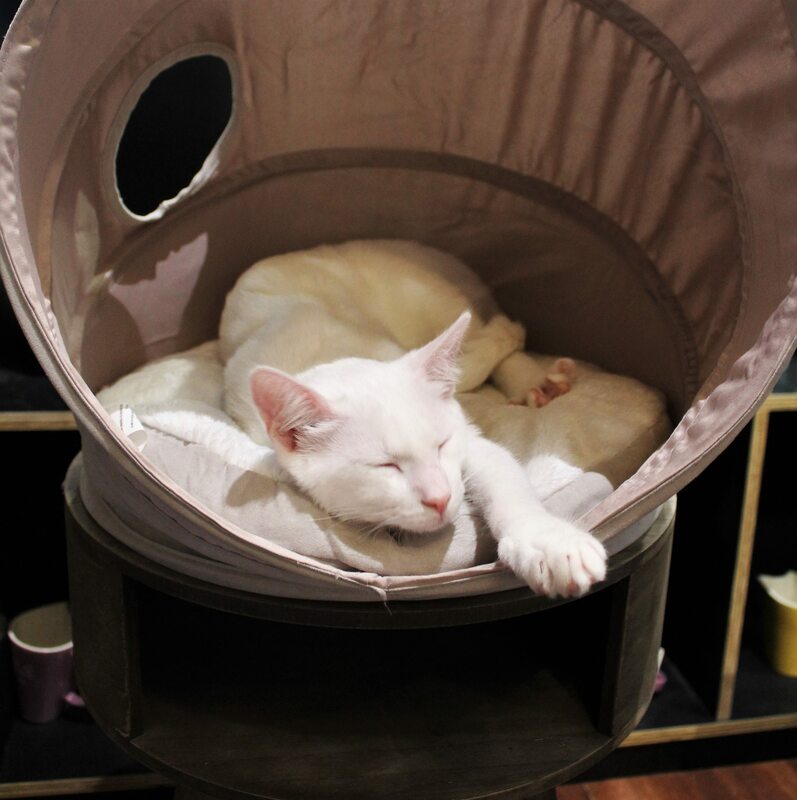 To get their dream off the ground, The Cat Café Perth had a lot of help from strangers funding the project on Indiegogo on top of all of the pairs savings and loans. With so much support from the public from the get go, Chris and Terps have been overwhelmed by the excitement the Cat Café has caused and are thankful for all of the assistance. 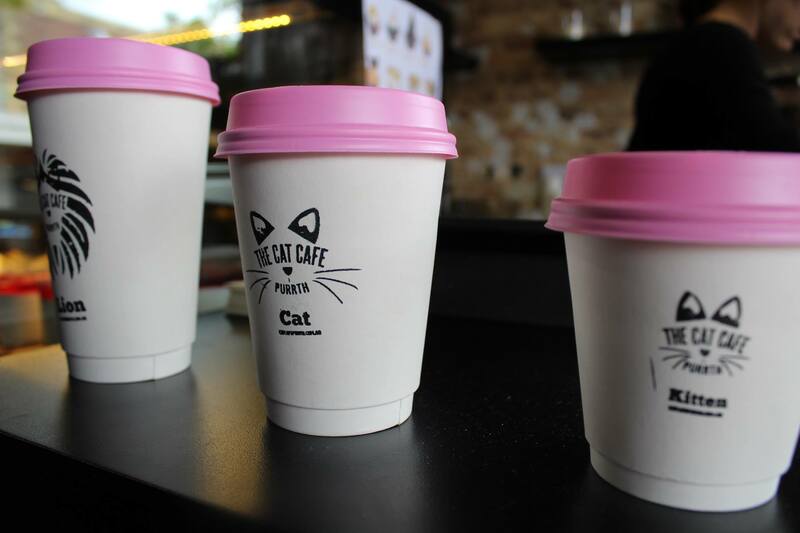 Although it only opened last weekend, the idea for The Cat Café Perth was stirred long ago, back when there was only one other venue already existing in Australia. However, WA’s strict laws saw it sidelined for an extended period making it the seventh to open in Oz. It wasn’t a smooth road to get to this point with a number of setbacks blocking their road to the finish line. When searching for premises back in May last year, they were knocked back countless times by land lords for not being a franchise business or because the concept wasn't understood. This was not only restricted to land lords, with even the councils wary of allowing a new concept into their municipality. Although they were knocked back time and time again, their determination saw them persevere, and they were finally rewarded with their current location: 147 Rokeby Road, Subiaco. With the support of the store owners, Chris and Terps were able to jump the last hurdle and were approved by the Subiaco council. Now that construction is complete and the cats have had time to adjust to their new home, the pair couldn’t be happier to share what they have created with the people of Perth. With the first two weeks already fully booked, make sure to jump online and secure yourself some time with Major Tom, Ziggy Stardust, Kylo Ren, Rolo and all of the adorable rescue cats who now call this café home. You can pay $8 for a half hour session (perfect for the kids), or stay for the whole hour for $12. The only downside is having to leave! Due to cat’s territorial nature, it is strictly no BYO cats. So what are you waiting for? Get your tickets here, practice your cat selfie technique and be one of the first in Perth through the doors of the long awaited Cat Café (don’t forget to load up on merch)! Check them out on their website, Facebook and Instagram.